Mexican restaurants are ubiquitous across the Commonwealth, with the best ones serving up both traditional fare and options with a more modern, unique twist. It doesn’t matter if you’re craving enchiladas, burritos, or even cactus tacos, these 10 great Mexican restaurants will serve you authentic food with guaranteed quality. 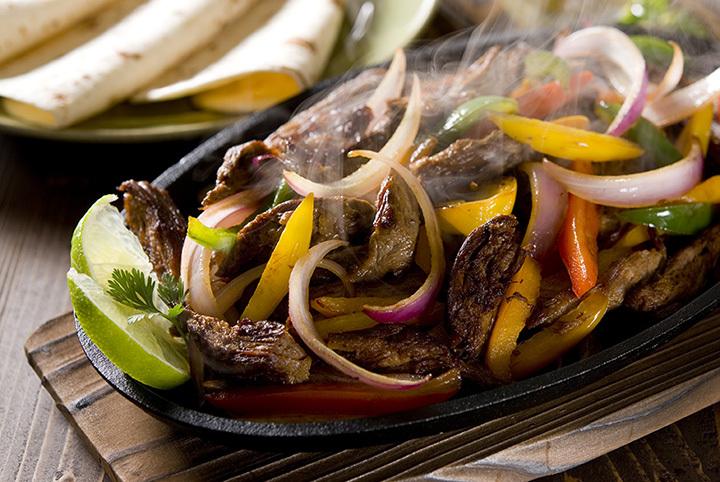 Local favorite Las Palmas Mexican Restaurant and Cantina in Virginia Beach serves up authentic Mexican dishes with unparalleled service. The Burrito California, full to the brim with grilled chicken or beef and mixed with green peppers, onions, tomatoes and cheese dip smacks with deliciousness. Stop by any weeknight for Happy Hour specials from 2 p.m. to 8 p.m.
Over its 17 years in business, Rancho Grande Mexican Restaurant in Chesapeake, Virginia, has accrued a passionate following of Mexican food enthusiasts. Not only is their Mexican fare authentic, reasonably priced and delicious, but their award-winning margaritas are muy bueno. Don’t let the cozy interior fool you—each dish packs a punch of flavor that’ll keep you coming back. Luna Maya in Norfolk, Virginia, is an eight-time Hampton Roads Magazine “Best Restaurant” award winner. Since opening in 1997, sisters Karla and Vivian Montano have provided “excellent food with great service in a relaxed and refined environment.” Ingredients are always fresh and perseverative free, with vegan, vegetarian, and gluten-free options. Stop by early for Happy Hour appetizers, margaritas, and sangria. Tio Pablo is one of Richmond’s hippest Mexican eateries with the food, tequila, and beer to earn a place on any area “best of” list. From the menu to the website and the restaurant itself, the Tio Pablo creates a memorable atmosphere. The entire menu is gluten-free and offers unique dishes, like the cactus tacos. With locations in Chantilly and Centreville, El Fresco Mexican Grill is known for their emphasis on fresh. Guacamole and chips are made fresh every morning. The chefs hand-cut the chicken, shred their own cheese, and dice their own veggies. The menu has staple dishes like quesadillas and arroz con pollo, as well as Mexican pizza. But the main draw is their burritos, which you can order to your personal liking or choose from one of six specialties. Ever want to try the best salsa in the D.C. area? Look no further than Guapo’s Restaurant, now with two locations (Arlington and Fair Lakes) in Virginia. Guapo’s casual Tex-Mex-style interior with outdoor seating will put you right at ease as you enjoy brunch, lunch, dinner, or dessert. El Paso Mexican Restaurant has three locations: one in Alexandria, Springfield, and Woodbridge, Virginia. El Paso serves homemade entrees along with a full-service bar and weekend brunch. The restaurants are colorful, vibrant, and buzzing with charm. Don’t be surprised if they’re busy! Picante! Restaurant and Catering has offered traditional Mexican food with a family-friendly atmosphere to the Chantilly, Virginia area since 1994. Kids even eat free every Monday night. Between margaritas, you’re invited to enjoy weekly Salsa Nights every Friday. Pincate!’s instructors teach Salsa, Bachata, Merengue, Cha-Cha, and Mambo. Don’t be fooled by the humble exterior: Inside Los Toltecos restaurants throughout Northern Virginia are the makings of a new restaurant empire. With six Virginia locations spanning Alexandria, Fairfax, Ashburn, Winchester, Sterling, Lake Bridge, and Frederick, Los Toltecos is taking Northern Virginia by storm. Their menu is substantial and includes appetizers, salads, house specials, vegetarian options, a kid’s menu, dessert, and drinks, among others. Not only is the food delicious and the atmosphere light and friendly, but regular trivia, bingo, karaoke and comedy nights keeps customers coming back again and again. El Charro Mexican Restaurant has been in business for 25 years, and has recently expanded into its fifth location. With two locations in Harrisonburg, one in Bridgewater, another in Kings George, and the last one in Fredericksburg, Virginia, you’re never too far from an El Charro experience. The original El Charro started in Harrisonburg with the goal of providing the town “good, clean, and fair food.” The decorations are festive, the people friendly, and the food tasty. What more could you want?